Members of the worldwide public are invited to participate in NASA’s Mars Atmosphere and Volatile EvolutioN (MAVEN) mission through a new outreach effort called the Going to Mars campaign. MAVEN, which is led by LASP, is the first mission devoted to understanding the Martian upper atmosphere. Using innovative online tools, the Going to Mars campaign will allow members of the general public to participate in the mission and “go to Mars” with the MAVEN spacecraft. The campaign opens today with a student art contest for participants ages five to seventeen; the winning artwork, as chosen by the public via online voting, will fly to Mars. The second wave of the Going to Mars campaign, which opens in May, invites people from all over the world to input their names and an optional message into an online interface; the names and top-voted messages will be burned to DVD and sent to the Red Planet aboard the MAVEN spacecraft. 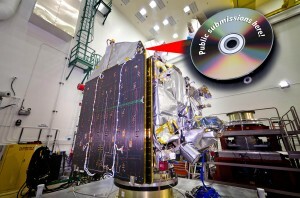 Learn more about the MAVEN mission at http://lasp.colorado.edu/maven.